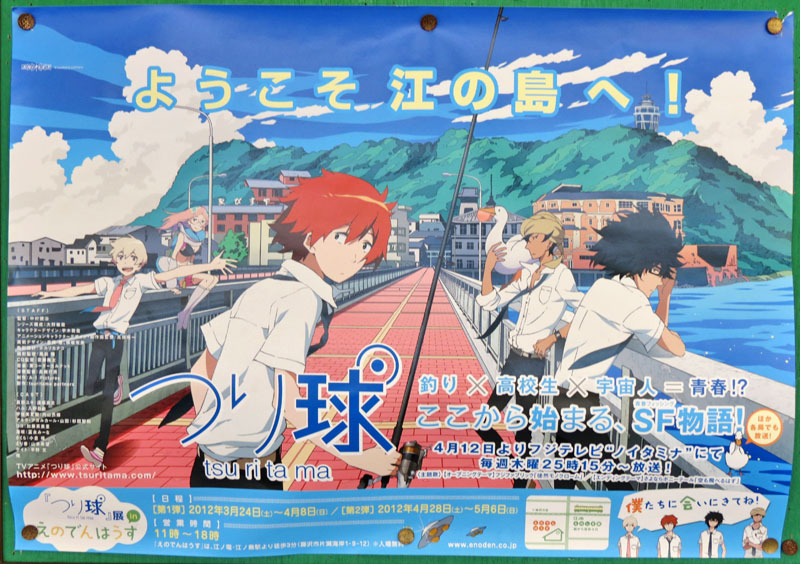 Enoshima and Kamakura is used by many Anime, Movie and TV drama works as reference models of the location or real location places very frequently. 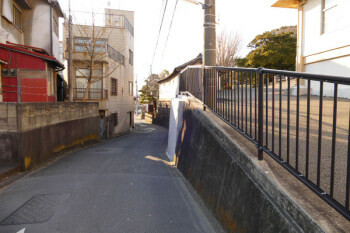 Because of the reason, this area becomes one of the popular destination for "Seichi-Junrei" [聖地巡礼] (Visiting the real location places where appeared on these works, like a pilgrimage) in Japan recent years. Here we'll guide you some famous location sites of Anime, TV Drama, Movie and Manga works in the area. 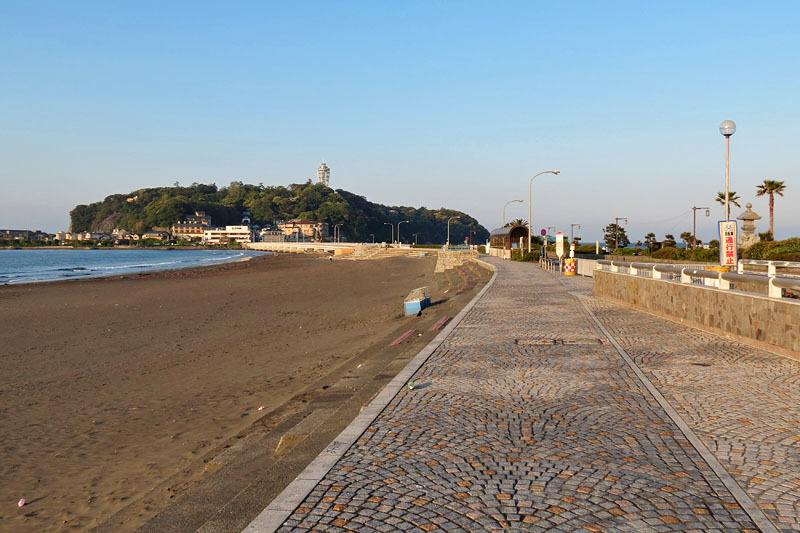 Major anime, movie and TV drama works that used Enoshima or Kamakura as location. 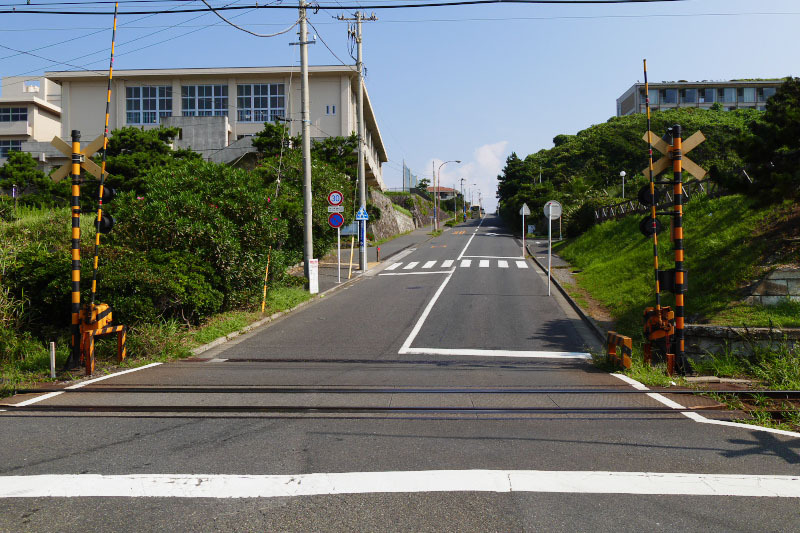 Kamakura Koko Mae Station [鎌倉高校前] of Enoden Line is the most famous and popular location place of drama, movie and anime works not only in Enoshima and Kamakura but also in Japan, such as an anime work "Slam Dunk". 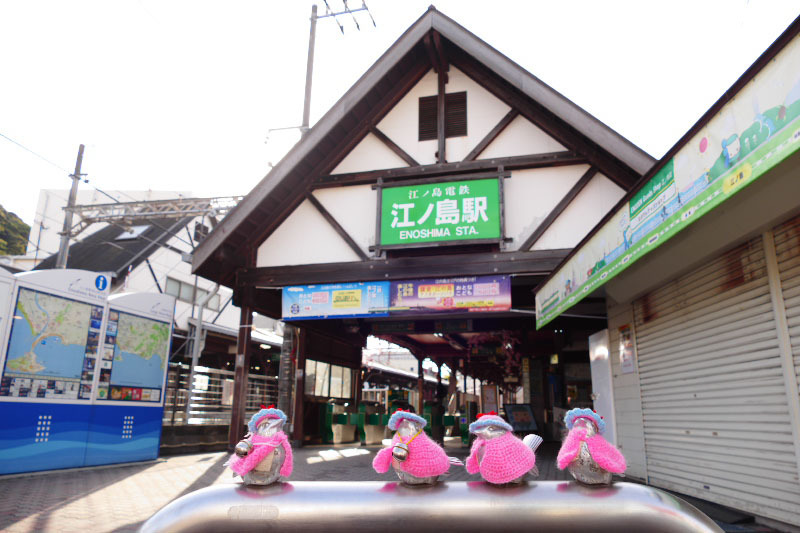 In almost all works, the name of the station has been changed to another one, but the scenery is used as it is. 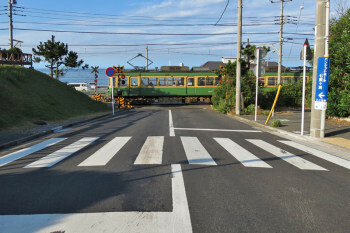 There is a railroad crossing at 2 minutes walk from the station that is appearing in numerous works as well as Kamakura Koko Mae Station or more. 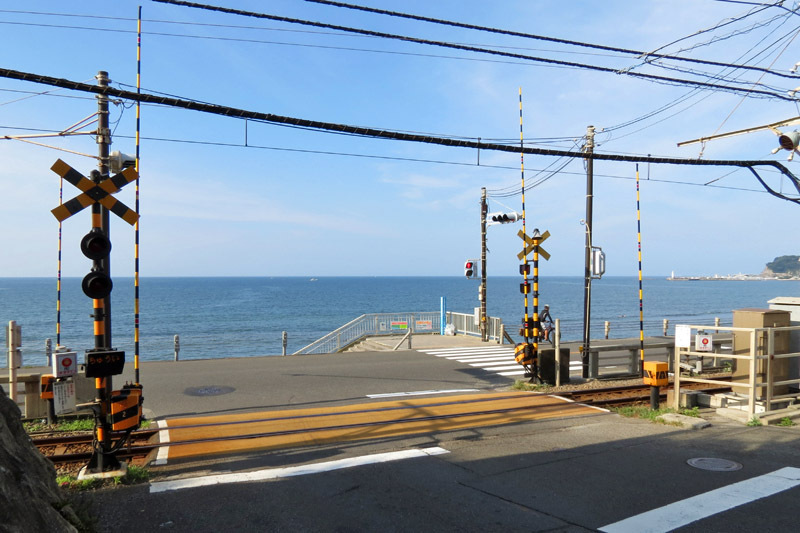 Currently it is not possible to see because road construction is done, here is a few unique beautiful sight can be seen in Japan where the sea is spread out beyond the railroad crossing. 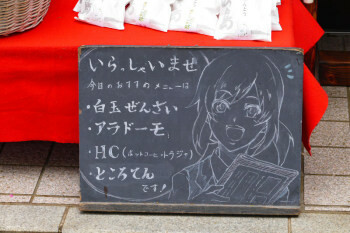 In an anime work "TARI TARI", the residential area along the slope around the station became a location as the school route for students going to and from Shirahamazaka High School. However, there is no real school ahead. 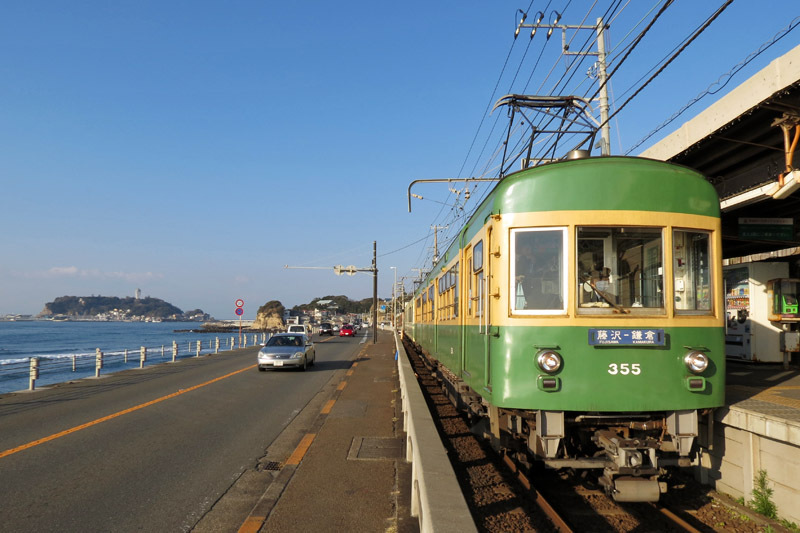 Take a Enoden Line train and get off at Kamakura Koko Mae Station. More detail guide for Kamakura Koko Mae Station. 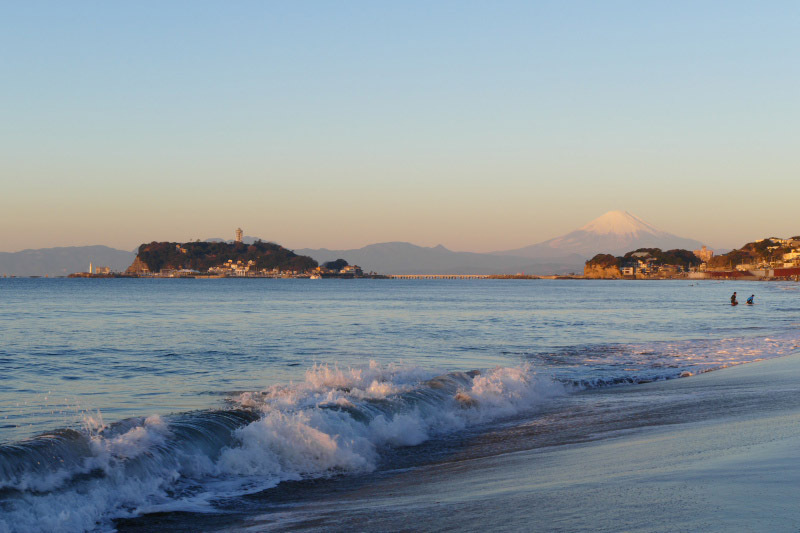 Shichirigahama Coast [七里ガ浜] is known as one of the scenic place in Kamakura, where can see Enoshima Island and Mount Fuji together, especially at sunset. 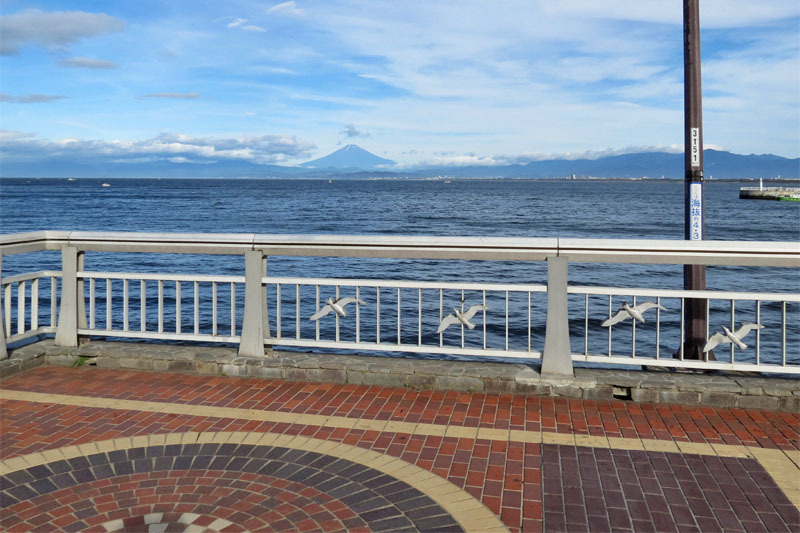 Ofcourse, the movie, drama or anime producers do not miss the place where such a beautiful pictures can be taken, here has appeared as a location for many movies and TV dramas. In the opposite mountain side of the parking, there is a long and straight slope between the school and the hotel. 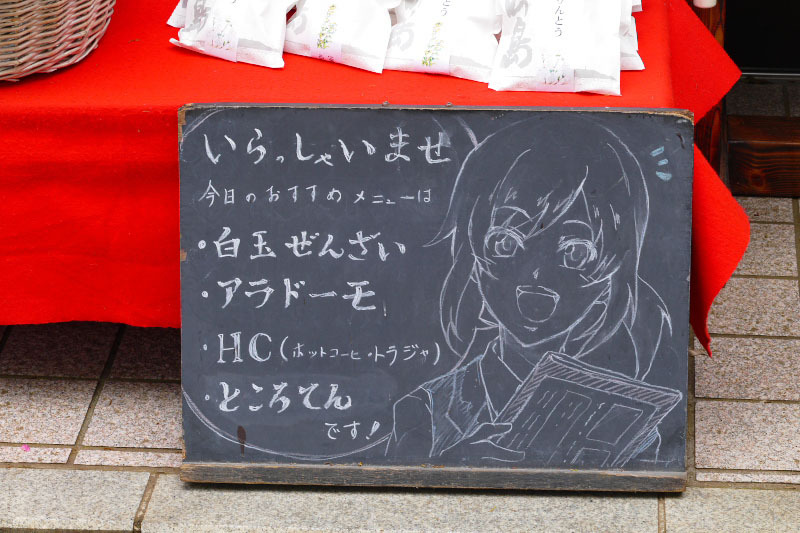 Here also appeared on several anime works in recent years. 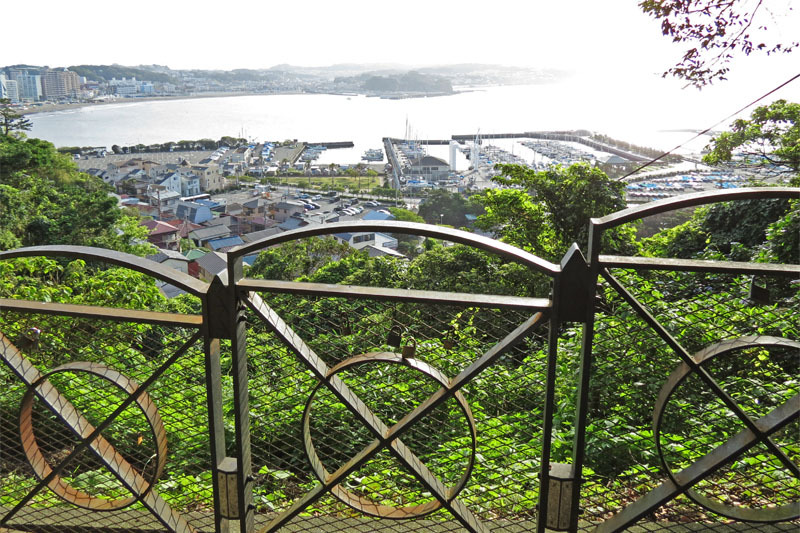 It is hard to walk the long slope, but the sea view overlooking from the top, which appeared in some anime, is also worth seeing! Take a Enoden Line train and get off at Shichirigahama Station. 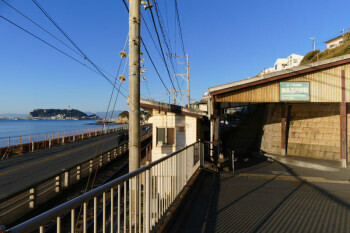 From Shichirigahama Station, go left and cross a small bridge. 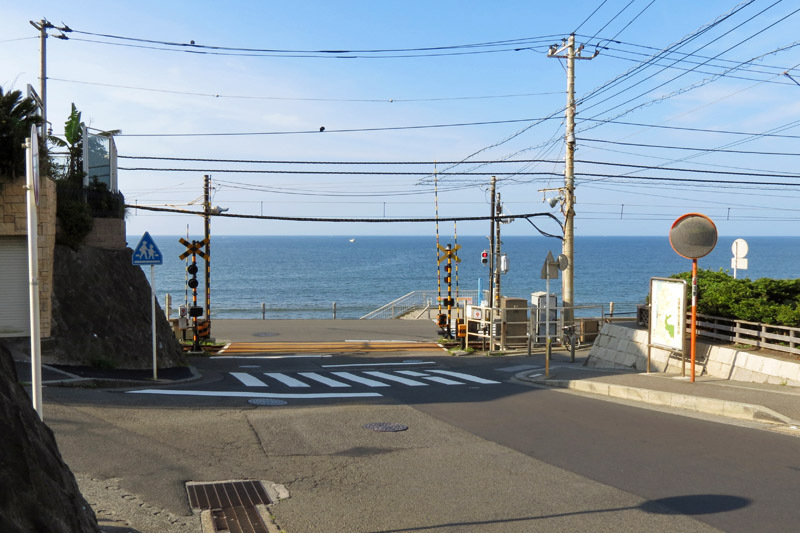 Then, turn right to the sea. 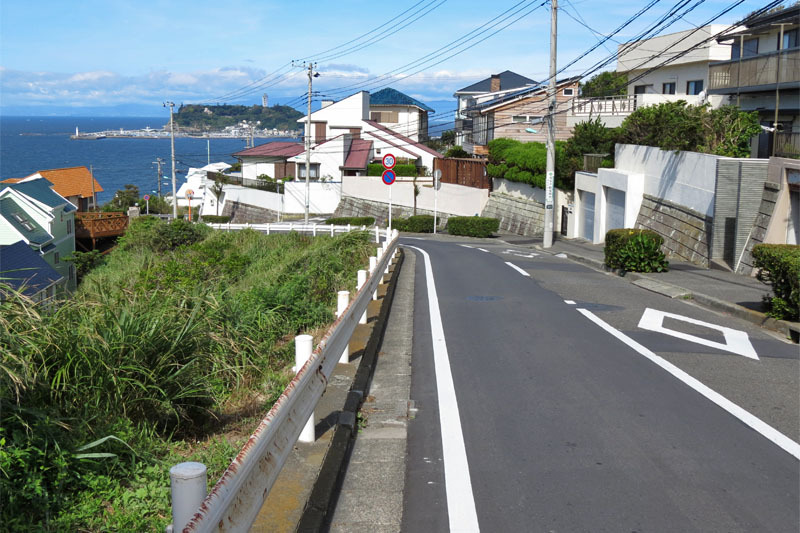 When you cross the seaside road, there is a wide carpark and able to go to the coast. 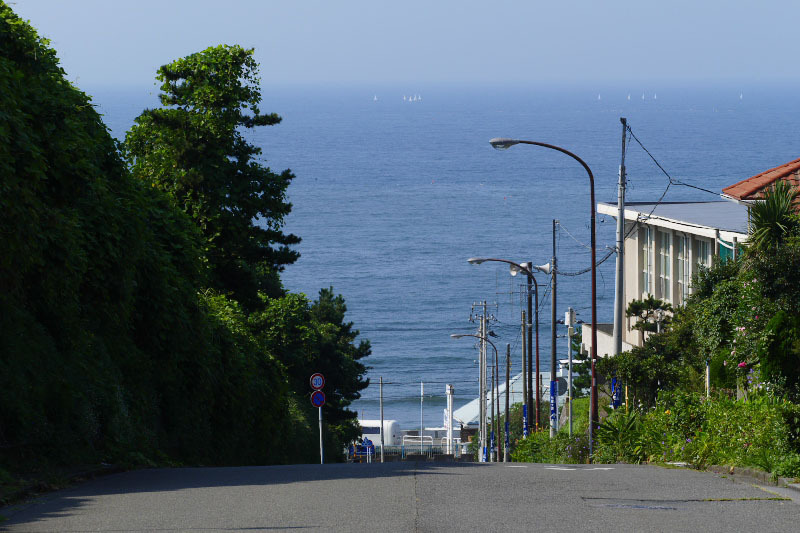 If you turn left at the seaside road, you can go to the scenic long straight slope called as "Shichiko-dori". 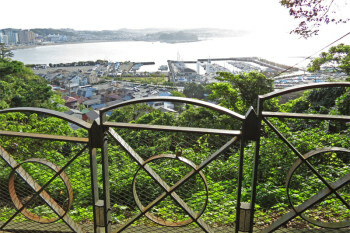 More detail guide for Shichirigahama and Inamuragasaki. 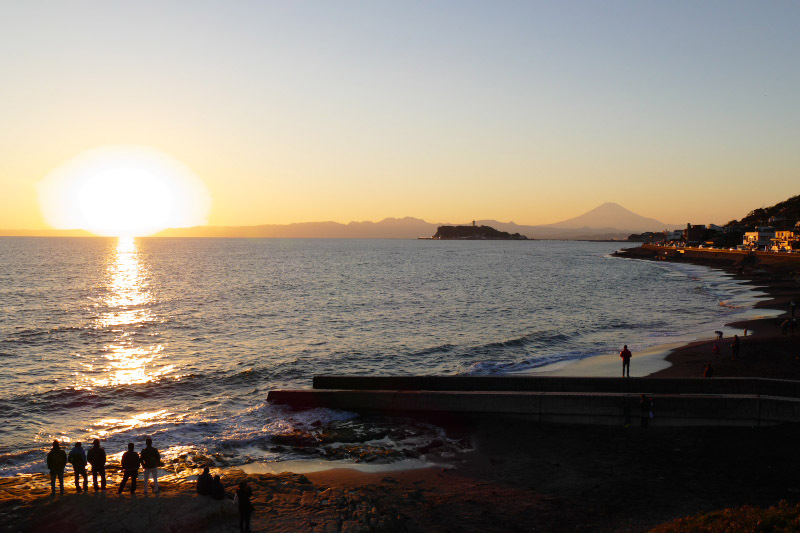 Inamuragasaki Cape [稲村ヶ崎] and coast is famous sunset viewing place in Kamakura, Japan. There are not so many, but here is also the place where appeared on the following listed movies and anime works in recent years. Turn left and cross Enoden Line railway from Inamuragasaki Station. 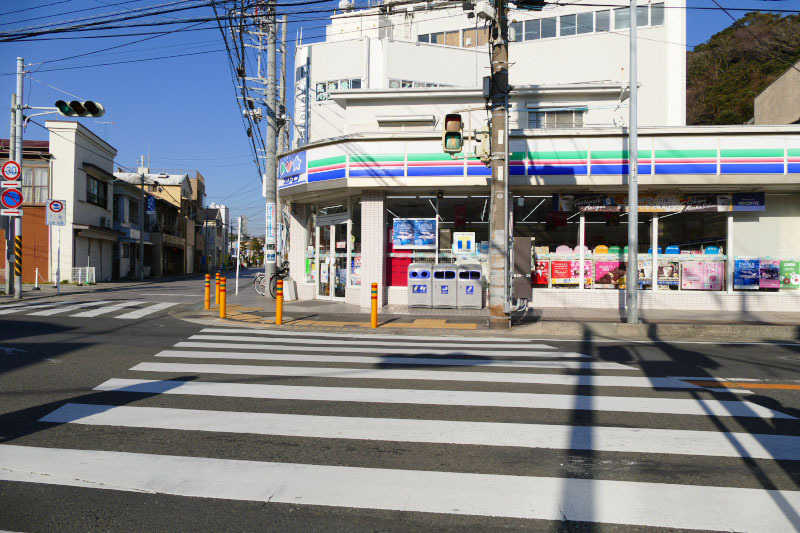 Again turn left at the front of 7-11 convenient store and along the road. Then, turn right and down the slope, you will reach the seaside road. The cape park is in seaside hill to your left. More detail guide for Inamuragasaki and Shichirigahama. 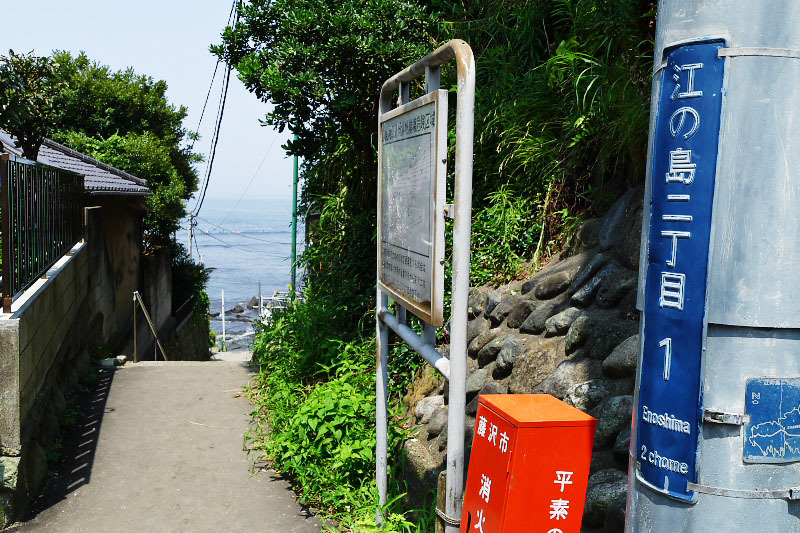 Gokurakuji, a small and quiet station in mountainous area of western Kamakura. 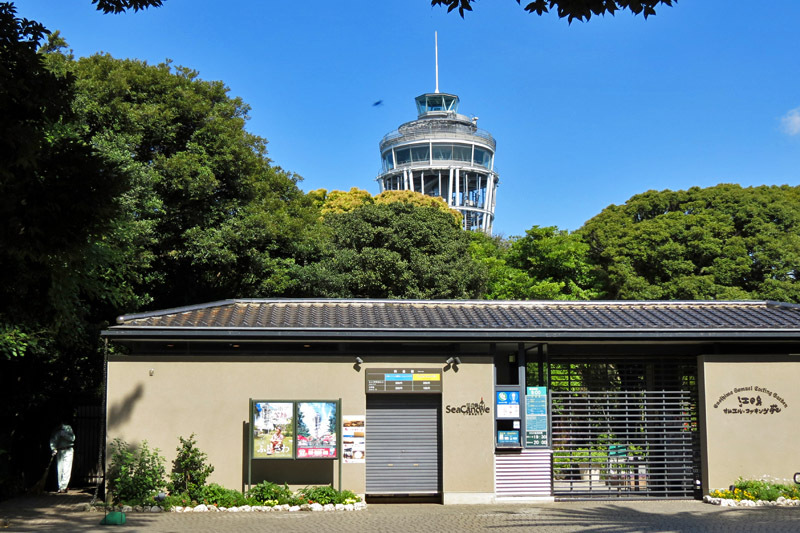 In the late of 1970's, this station and its surroundings became a tourist spot by appearing as a location of popular TV drama. 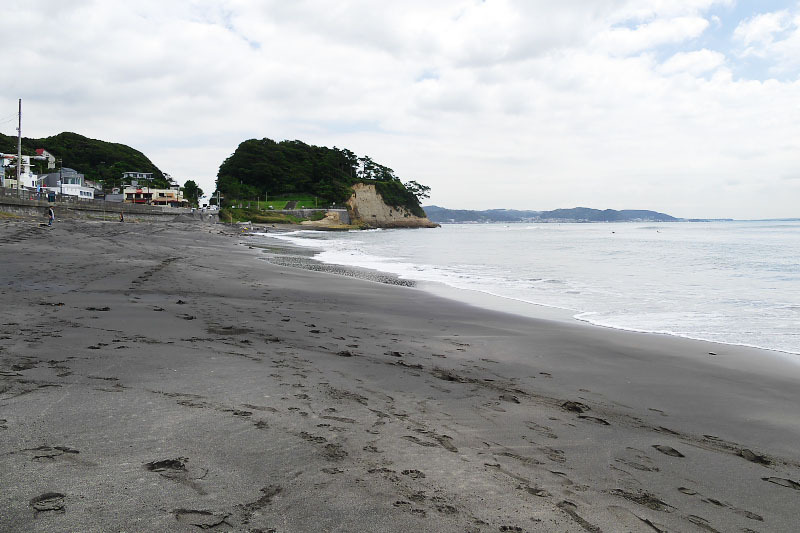 It is the place that triggered Kamakura and Enoshima to become a popular location for movies, dramas and anime. 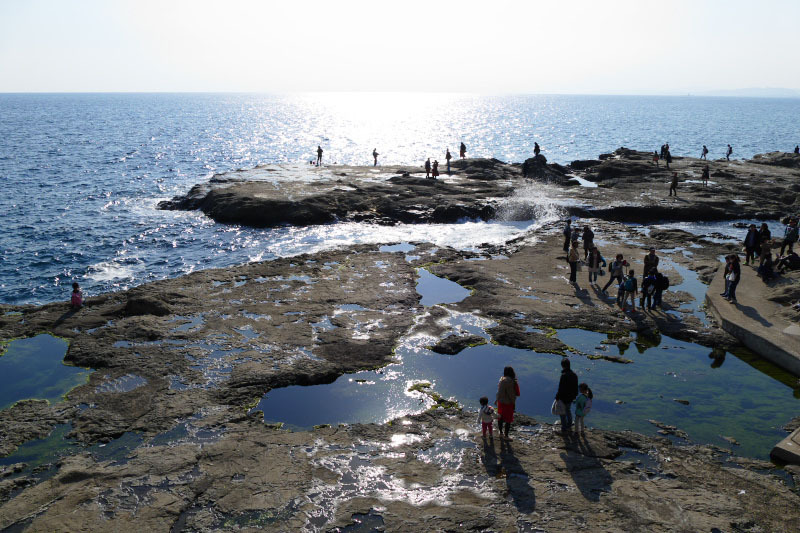 Here became the popular location again by a TV drama "Saigo kara Nibanme no Koi" in recent years and many ladies come and visit. 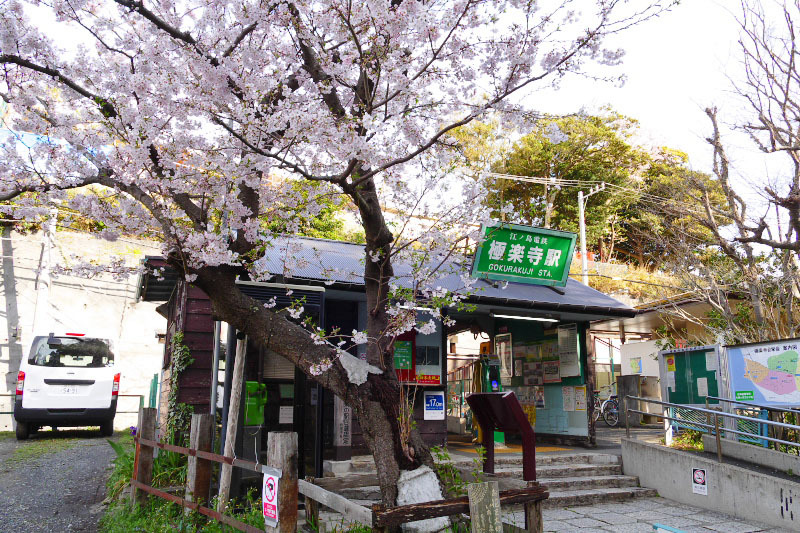 Also in a recent anime work "Minami Kamakura High School Girls Cycling Club", the beautiful scenery of this station that cherry blossoms were in full bloom has appeared. 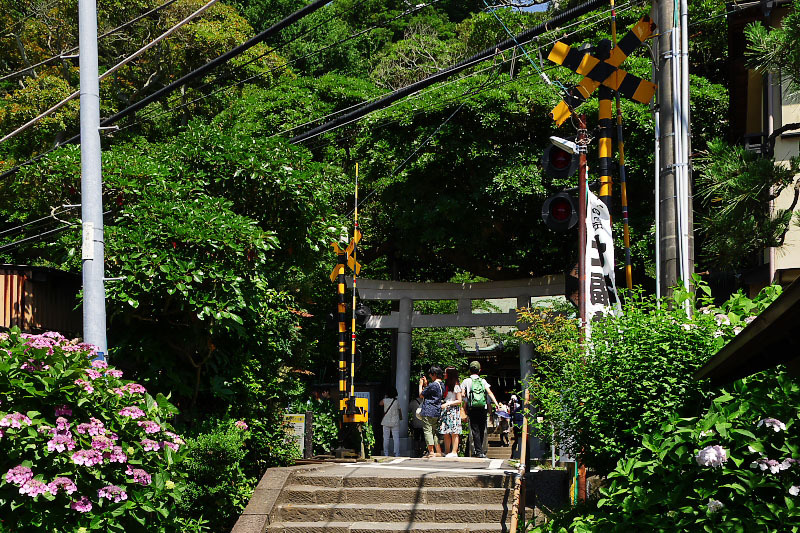 Goryo Jinja Shrine, a small shrine as a popular photography spot for flowers and trains in Hase west of Kamakura, appeared on a TV drama "Saigo kara Nibanme no Koi". 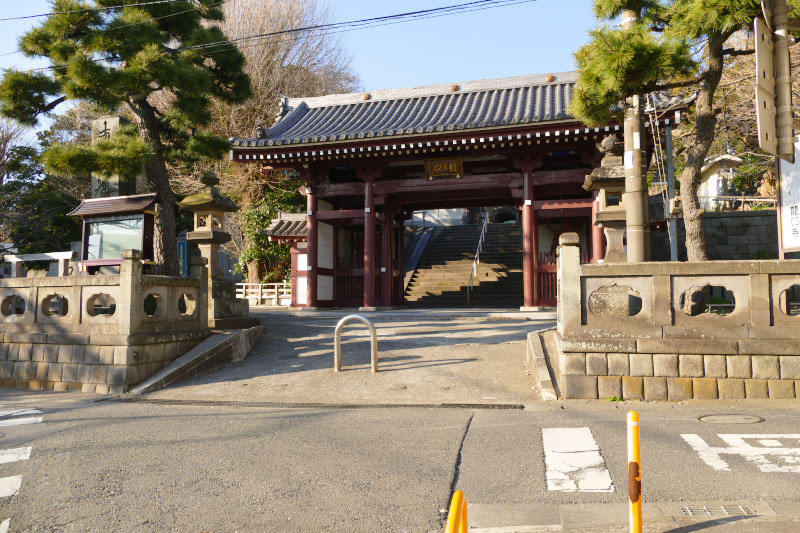 One of the main character lived on the left next to the gate of the shrine. 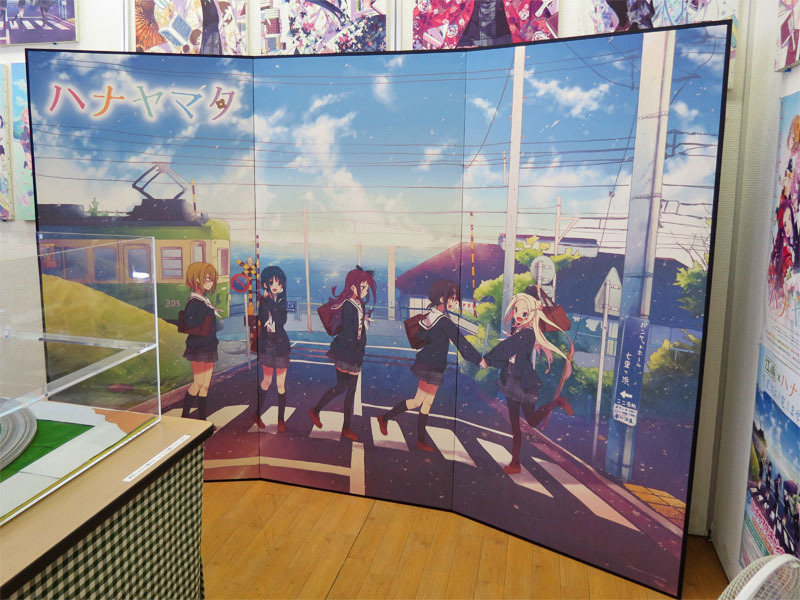 And also the shrine appeared in several anime works such as "Hanayamata" and "Minami Kamakura High School Girls Cycling Club" and a movie "Umimachi Diary". From Hase Station, cross the road in front of the station and go right until the road next to Shugenji Temple [收玄寺]. Turn left to go this road then turn left again at the end of the road. There is a unpaved alley on your right, go straight the alley until a stone Torii gate. 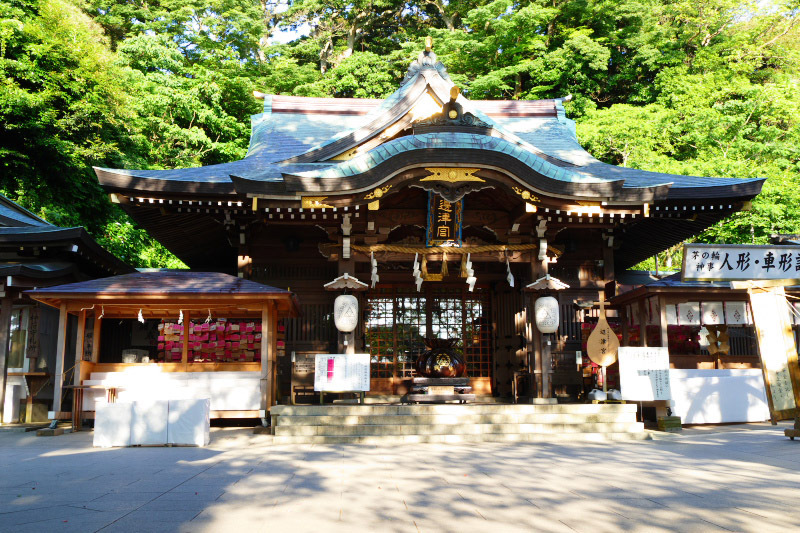 Here is Goryo Jinja Shrine. 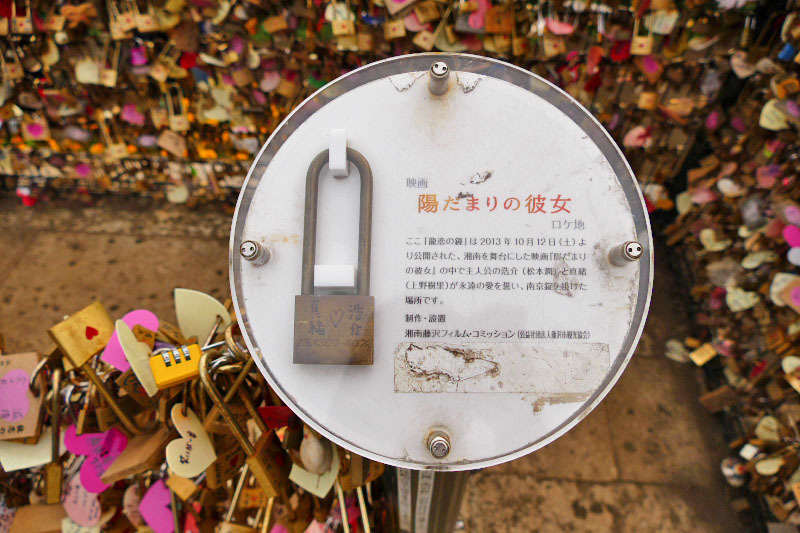 More detail guide of Goryo Jinja Shrine here. 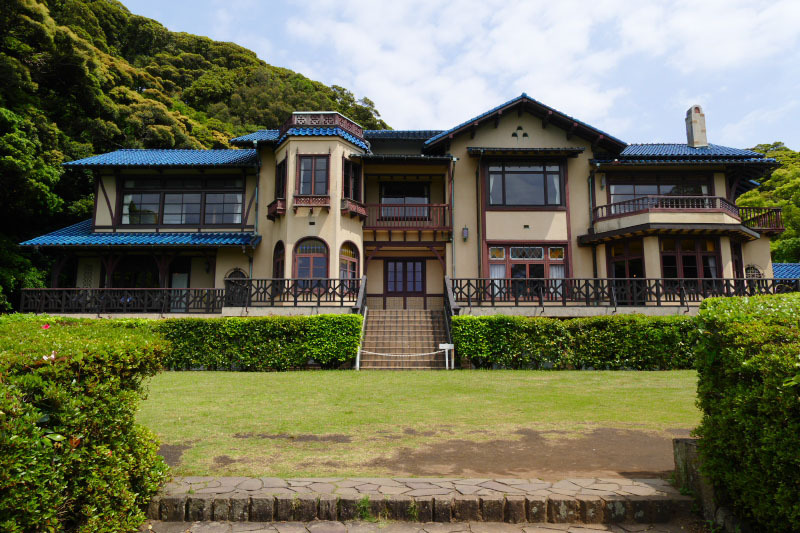 A museum which known for rose garden, using a classic villa building built in the middle of 1930's, became a location of some anime and TV drama works, thanks to its characteristic atmosphere. 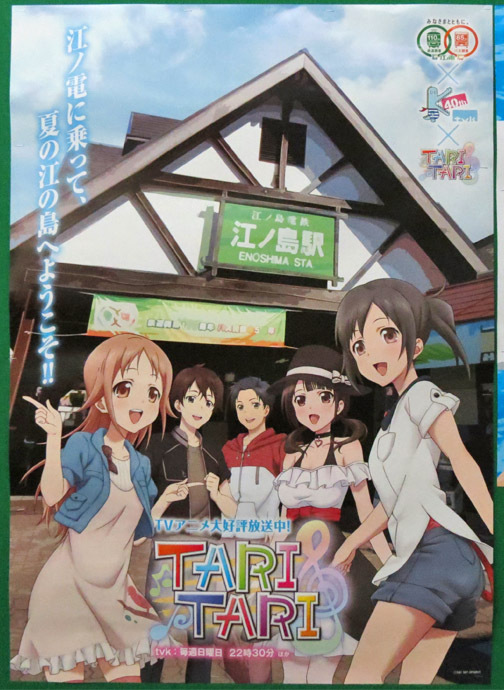 It was appeared as a high school in "Sweet Blue Flower", and as a house of a main character in "TARI TARI". 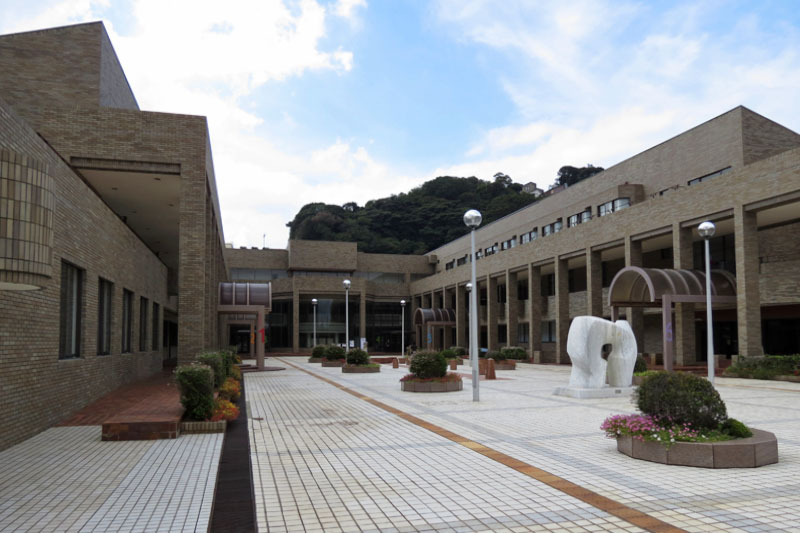 More detail guide of Kamakura Museum of Literature. 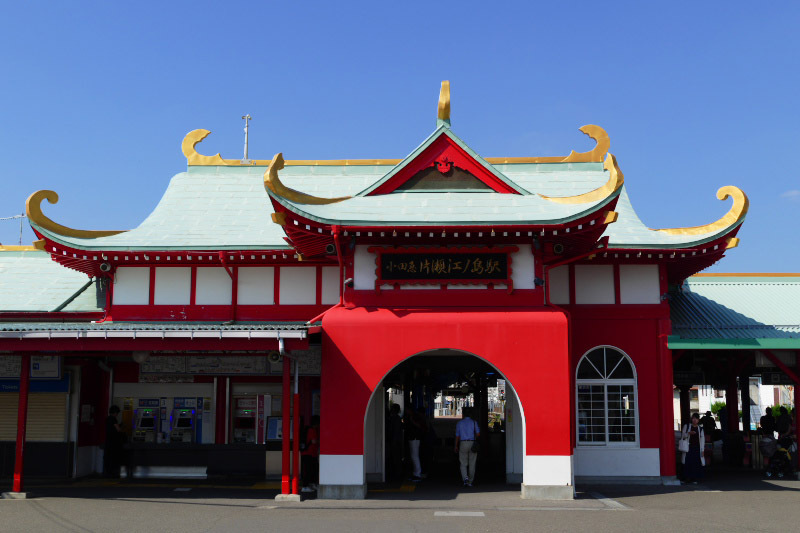 A red-colored unique building of Katase-Enoshima Station like a shrine appeared in a anime works "Tsuritama" and impressed strongly the scene where the main character arrived first time at Enoshima Island. 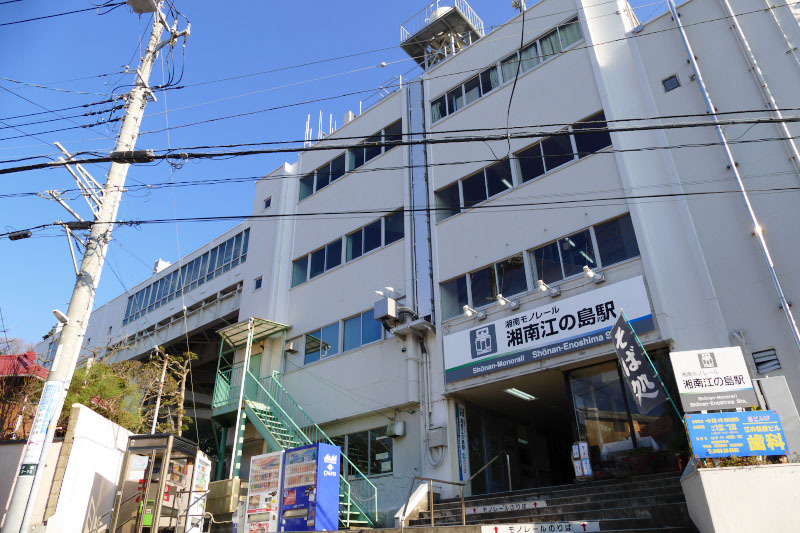 However, Fujisawa City and Railway company are started to re-build the station building until 2020. It was only to leave that unique figure in many works already. 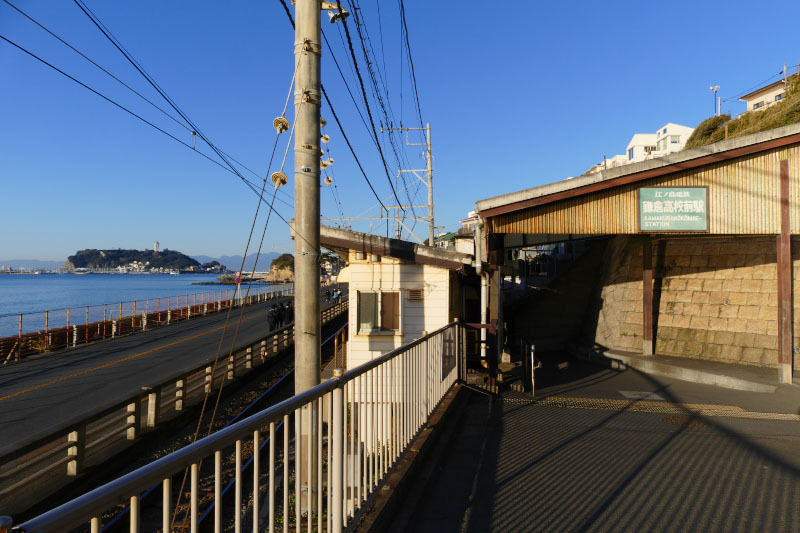 A station looks like a mountain cottage and also one of the entrance of Enoshima Island has appeared as a symbol of the scene that the main characters arrived at the island in various anime, movie and TV drama works. 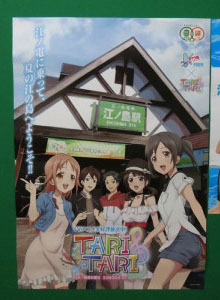 The monorail station and its surroundings on the outskirts of Katase Town became a location with 2 anime works, "TARI TARI" and "Myriad Colors Phantom World". 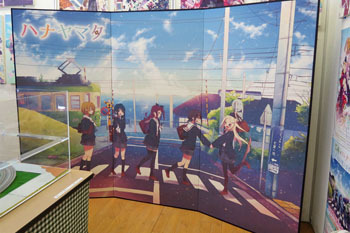 In both anime works, inside of the station building, streets around the station and also real shops appeared. 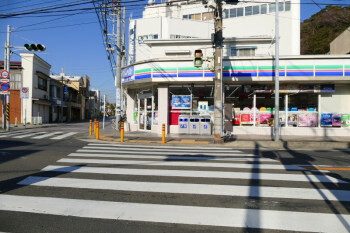 However, the convenient store at the nearby intersection closed in early 2017. Also, the roof which was on the sidewalk along the main road was removed now. 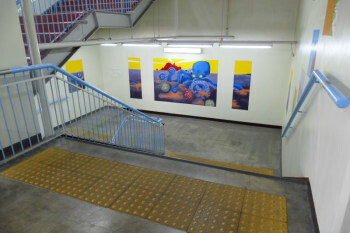 This station also undergoing refurbishment and these scenery will change. Ryukoji Temple, an old temple near Enoshima also known as Enoden train passing in front of the gate, appeared in the anime work "Myriad Colors Phantom World". 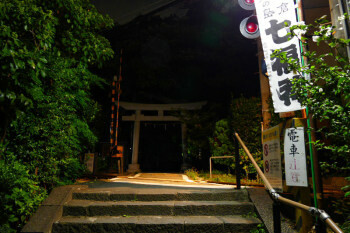 It was the stage of the twilight scene where the two of the main characters will meet by chance in and around the gate of the temple. If you going to the left along the road and railroad from here, you can go and find a shop that the show window appeared and a small river in front of Koshigoe Station, both of them appeared on the opening of the same anime work. 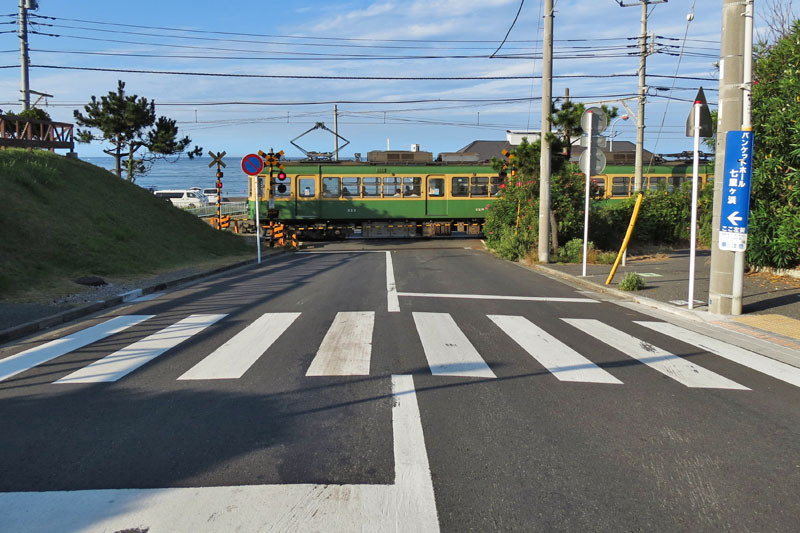 Turn right in front of Enoshima Station and cross the railroad. 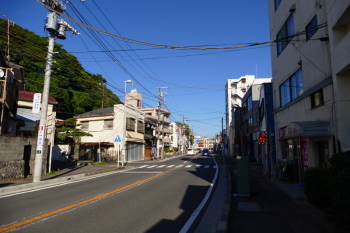 Then, turn right again at the first traffic signal on the main road. 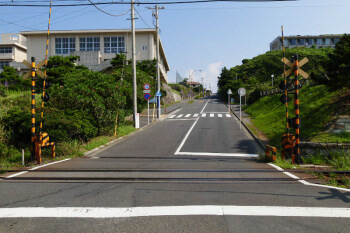 Turn left in front of Shonan-Enoshima Station of Shonan Monorail. 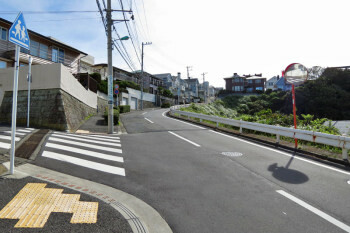 then, turn left again at the first traffic signal on the main road. 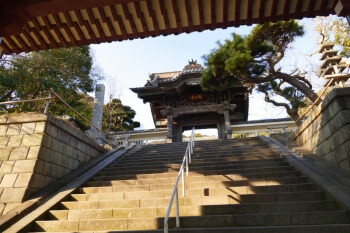 When walking along the street for a while, there is a main gate of the temple on your left. 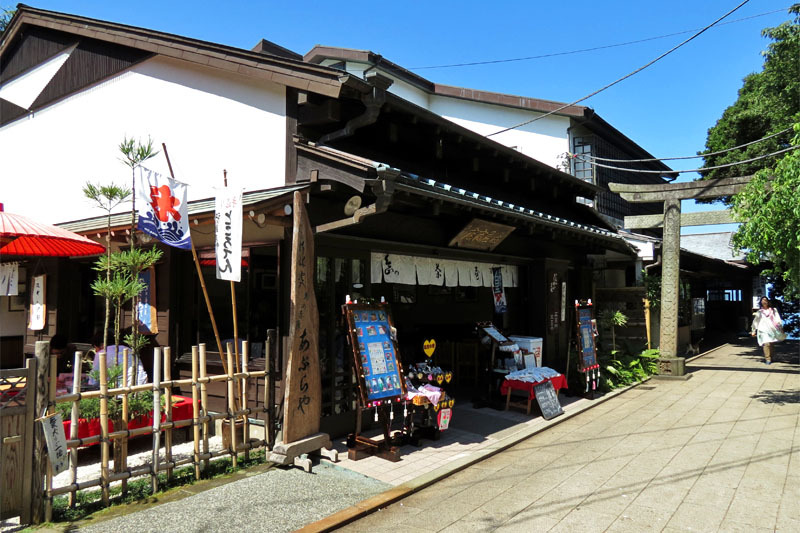 More detail guide of Katase Town and Ryukoji Temple. 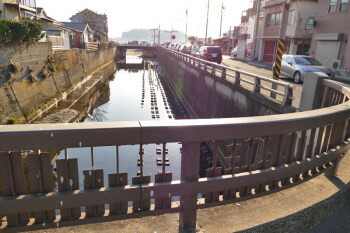 The small bridge on the river is in front of Koshigoe Station, the end of the shopping street and railroad. 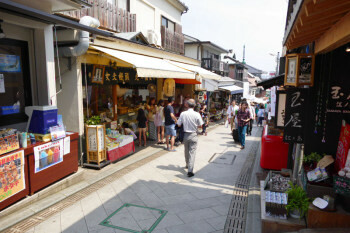 More detail guide of Koshigoe Shopping Street. 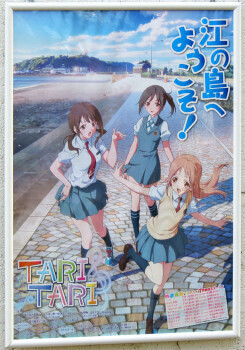 Katase Higashihama Beach that spreads in front of Enoshima Island became the location spot of main image of an anime work "TARI TARI" and a movie "Girl in the Sunny place". Since then, this beach appeared frequently in the story of the anime and movie work, so it became one of the popular location site and crowded by many fans for a while after on-air. Go straight and cross a bridge, then there is a entrance of underpass to the seaside on your right. Enter the underpass and go to the left front exit. 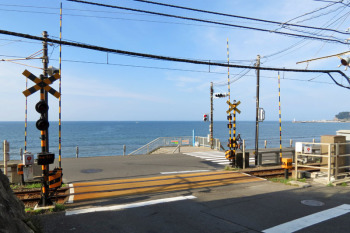 Turn right in front of the station and go straight ahead through the seaside. Then there is a entrance of underpass to the seaside on your right front. Enter the underpass and go to the left front exit. 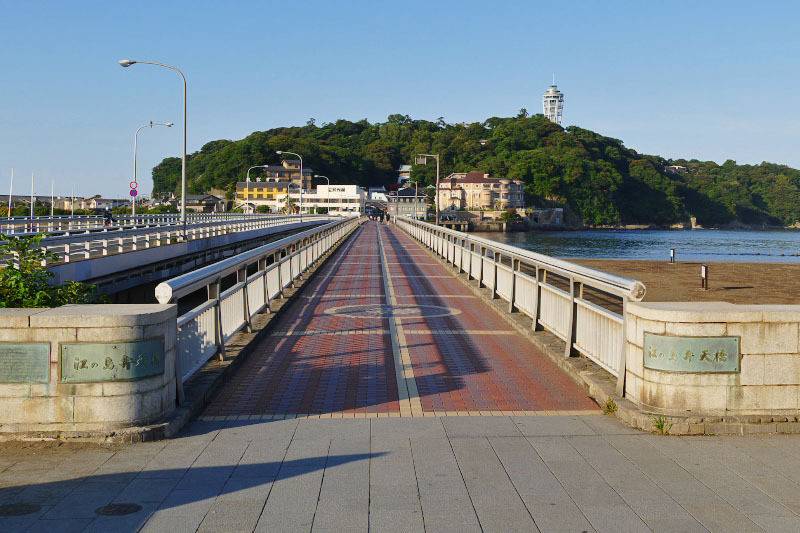 Enoshima Bentenbashi Bridge, the only entrance way to the island is the place where many characters also came and goes in many anime, movie and drama works such as a movie "Girl in the Sunny place", and several anime works "Tsuritama", "TARI TARI", "Ping Pong" etc. 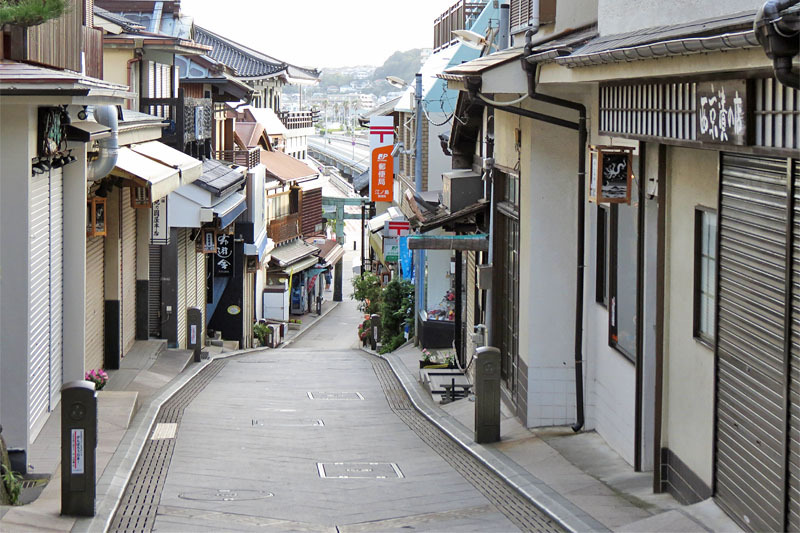 Nakamise Street [仲見世通り], the main street and shopping spot of Enoshima Island is also appeared in some movie and anime works as one of the symbolic places being on the island. It is a place where an impressive sight that a main character girl is going down this slope with a bicycle early in the morning was drawn in the anime works "TARI TARI". Also in the anime works "Tsuritama", one of the characters lived here and run a shop. 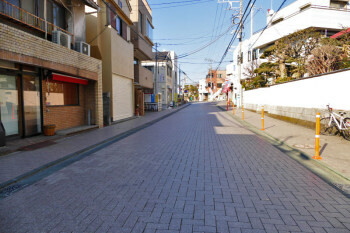 In a movie "Girl in the Sunny place", a Japanese sweets shop "Kinokuniya Honten"[紀の国屋本店] in this street became a location site and a scene that the main characters eat "Meoto Manju" a famous traditional sweet buns with red-bean paste, were taken here. Also in this movie and the anime works "Tsuritama", the neighborhood of a little not-famous Nishiura Cove in the near by alley appears. 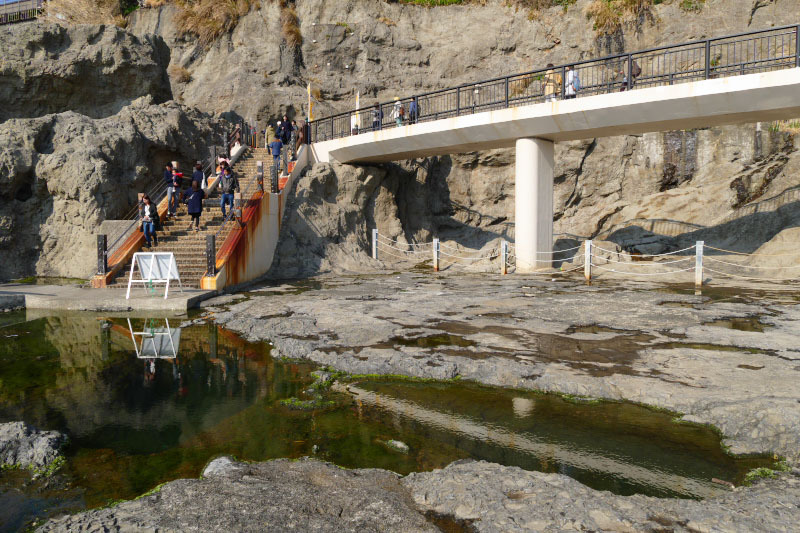 Although this largest shrine in Enoshima does not appear so much as a location. 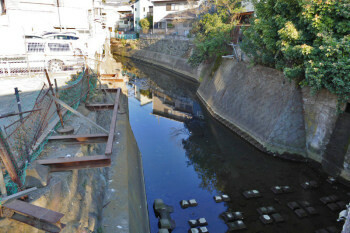 But it appeared in the anime works "Tsuritama". Also in this neighborhood, the scenery along the way between Nakatsunomiya Square and Kamegaoka Square on top of the island became one of the location places in the anime works "TARI TARI" and "Tsuritama". 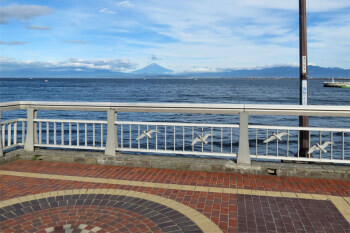 Samuel Cocking Garden and Sea Candle tower, the landmark of top of Enoshima Island was appeared in the anime works "Tsuritama" in 2012 as a place where one of the characters works. 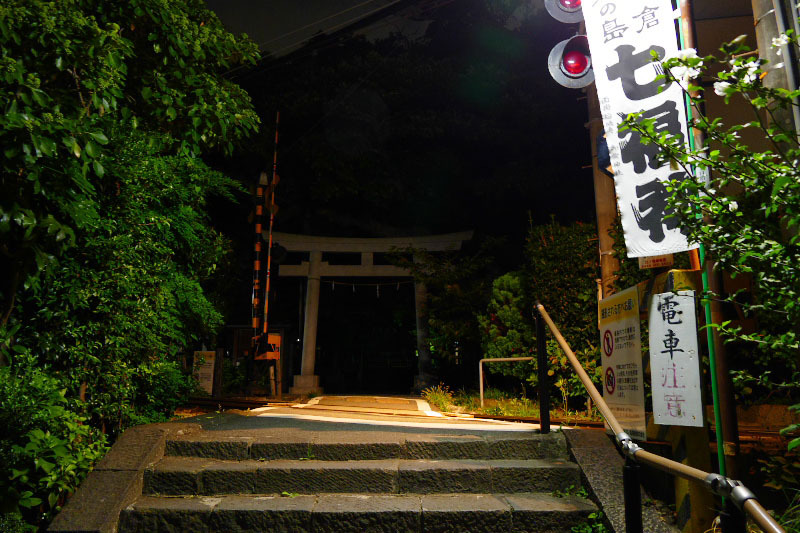 Around Okutsunomiya Shrine, there are some places that became a location spot of the movie and the anime works. 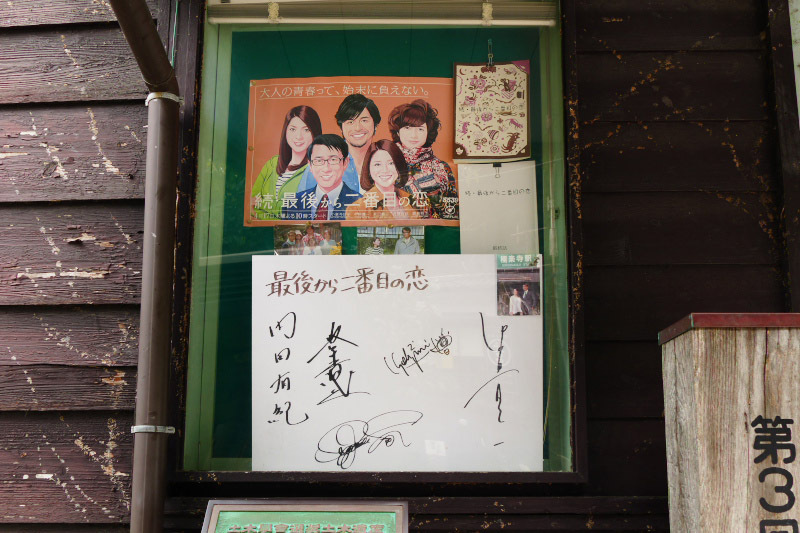 An old Japanese style cafe and sweets shop "Aburaya"[あぶらや] is one of the famous location spot in Enoshima, that appeared in the anime works "TARI TARI" as "Kokageya" cafe that is also one of the main character's house. In this cafe, sometimes the characters of the works is drawn and displayed on the signboard of the shop. 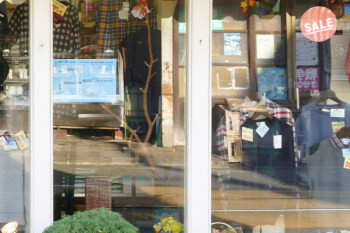 Also in the vicinity of the shop, a cat that seems to have become a model of a cat which appeared as a pet of the main character in "TARI TARI". "Ryuren-no-Kane" (a.k.a. love bell), somewhat went from the Okutsunomiya Shrine in the woods is the place where the main character couple (Jun Matsumoto and Juri Ueno) ringed the bell and keyed the fence was filmed in the movie "Girl in the Sunny place". 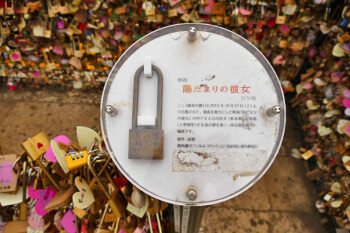 As a monument of movie production, a padlock actually used in the movie is displayed here. 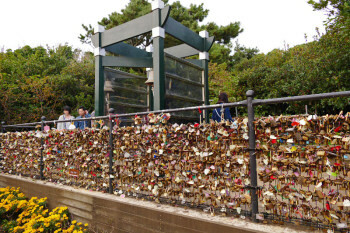 Since the release of this movie, female fans and couples who visit here and the number of the padlocks are increasing very much. Chigogafuchi Abyss and the coast near around of Iwaya Caves at the southwest end of Enoshima Island became a location spot in some anime works several years ago. At low tide, rocky reefs spread as the anime works "TARI TARI" was drawn and you can walk there, but the feet are unstable and slippery so that one of the character slid her legs and dropped into the pool. 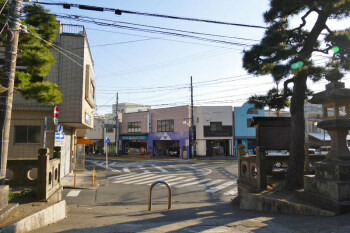 Among many location places of the movie, anime and drama works in the area, some of them have already disappeared. 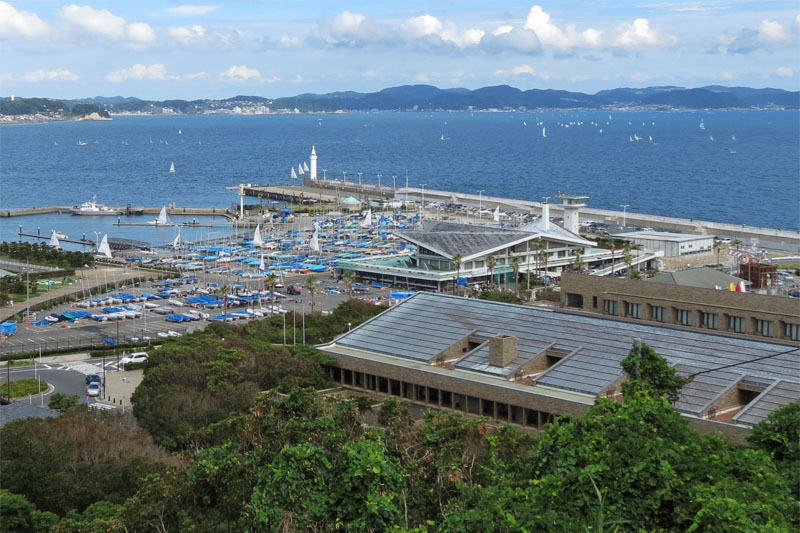 The old Enoshima Yacht Harbor building and former Kanagawa Josei Center building faced each other and a place appeared in the anime works "TARI TARI" and some other works. However, both have been rebuilt or dismantled.